For his post: What It’s Like to Watch World Cup Games on the Streets of São Paulo, on his blog, What About São Paulo? The day I’d been waiting for had arrived! I’d managed to recruit a Dane, an American and a couple of Brazilians to support England with me, and we all headed over to the Fan fest area just in time for the English national anthem. I belted this out with gusto, and I noticed I wasn’t alone; there were at least 100 other Brits I could almost hear singing too. Then the Italian anthem started, and things took an unexpected turn. It was as if EVERYONE else was singing along to this, waving their Italian flags. But then São Paulo is home to a huge number of Brazilians of Italian descent, and for some reason, I hadn’t even thought about this before arriving. To make things worse, there was a group of big, burly Italians stood by us, clearly very passionate about this song and the team. Citation: Andrew, we’re surprised you didn’t perfect your capoeira kicks before venturing into the FIFA Fan Fest area of São Paulo to watch England play Italy. But it seems you were that clueless. 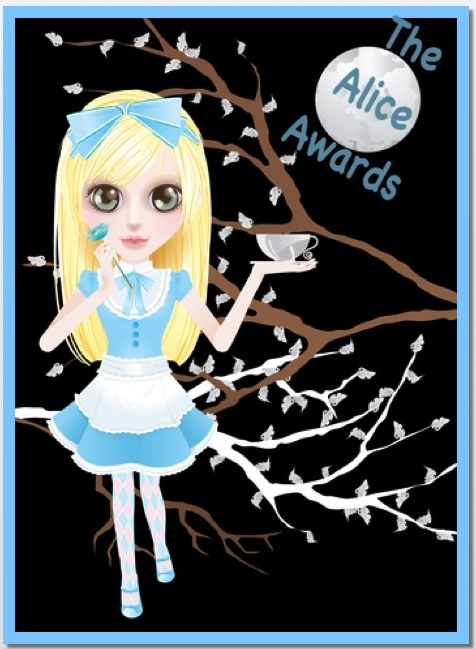 Your story in fact puts us in mind of Alice when she was handed a flamingo and gopher and told to play croquet. She was “in such confusion that she never knew whether it was her turn or not.” Likewise, we note that you were jumping up and down when you imagined England had scored a goal when in fact the ball had hit the outside of the net. Still, it’s a good thing you were mistaken or else those “big, burly” Brazilians of Italian descent might have screamed “Off with his head!”. As it was, their smirks must have made you feel a right wally. Welcome to the Fédération Internationale de Alice (FIA). And, yes, it’s time to invest in the Brazilian equivalent of Spec Savers. 3. Buy a big hat and pretend you’re a rich British aristocrat. There is no other reason to do this, other than it’s something fun to do when the game is on. Really go to town on the British accent. Order or make tea and be all lah-dee-dah, and poo-poo lemon and sweetener, get a proper milk jug and dunk in a Custard Cream. Keep being posh and drink tea and say posh British things during the game. Just think, he may look away from the screen for an instant, wondering whether you’ve gone totally barking. Mmmmm… Okay, probably not. Still, a Mad Hatter Tea Party would be marginally more entertaining than playing World Cup bingo with yourself (No 6). Today we have no concept of “home” in a geographic sense. This used to worry me and I know it caused consternation for our families that we no longer felt, or identified ourselves as, “British”. I used to feel wholly American, now not so much. I find I can’t identify with any given nationality, but am most comfortable surrounded by people like me, who are from everywhere. Which brings me to my point: anyone who tells you they don’t miss home is either lying or doesn’t have a home worth missing. In the first case, you can hardly blame a person for denying how much they long for the land of their birth, especially when (as is often the case) it’s not feasible to go back. The second scenario is one I don’t envy, even if the homesickness sometimes drags me down. 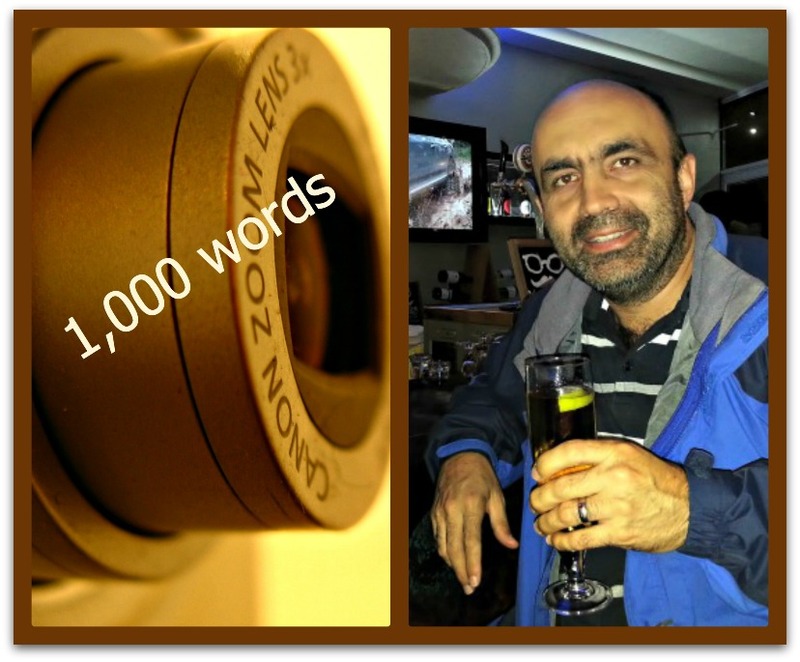 Canon zoom lens; photo credit: Morguefiles. Andy Harvard enjoying an ice-cold Hansa in a hotel bar off the coast of Durban (photo source: Andy Harvard). My guest this month is the 45-year-old South African photographer, traveller and chef Andrew (Andy) Harvard. Most chefs enjoy eating and are by nature creative people. Andy is no exception and his creative talents, ideas and passion spill over into his passion for photography, which he indulges on travels in South Africa and worldwide. He has a blog that celebrates all three passions under the descriptive title “snap fly cook”. I find this process very calming and am sometimes like a kid in awe when something magical happens. It is a meditation of sorts for me, an “addiction” that has to be fed. Oh! The wonders of HDR processing. Hi, Andy. Even though we haven’t met face to face, we’ve had a fair amount of electronic communication over the past six months, and I’m pleased we’re finally doing this interview. Before we start I’d like to thank you for the support you gave me when I was grappling with the real basics of DLSR and HDR photography—like how to take the lens cap off so my photos wouldn’t look so dark! I know you were born in Durban, which was the first place I visited in South Africa, in 1990. When did you spread your wings and start travelling around photographing different places? It all started in 1999 at the end of a relationship. My ex-girlfriend and I had travelled to destinations such as Mauritius and the Maldives luxuriating in 4 & 5 star hotels and resorts. As part of our very amicable breakup, she gave me a free return flight to England, where I met my (now) best friend, Jason. He and I flew from England to Amsterdam for three nights. Remember the adage “what goes on tour stays on tour”? Well, I will say no more than it was a good tour and the start of my real travel and photography adventures. Now we all want to know more; please carry on, Andy. Well, I have mostly travelled alone and up until meeting my wife, have enjoyed adventuring by myself. 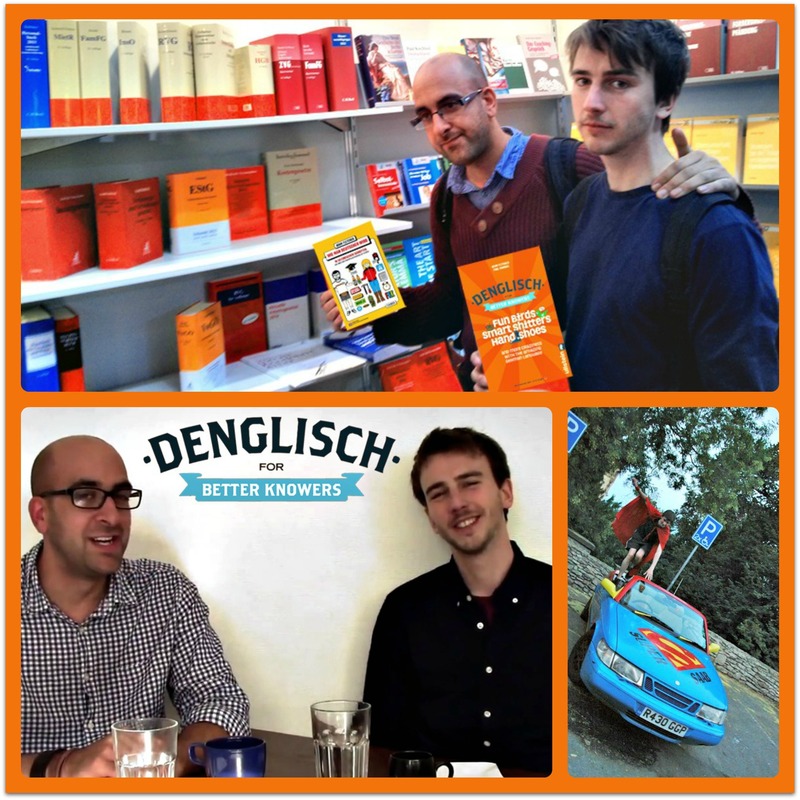 I found that travelling with others has the potential to cause unnecessary complications. Maybe you want to eat Italian and your companion wants to eat Indian. One wants to head into Northern India, and the other wants to go spend a week in a houseboat in Kerala, a state in southwest India. I have no problem talking to strangers, mingling and keeping myself very busy. Budget accommodation and street food are my favorites, although I have been known to spend 5,000 INR (Indian rupees, around 80 USD) on a lobster and 14,000 INR (around $2,300 USD) on a hotel room in Mumbai, as well as similar amounts in other locations. But that is only once in a blue moon. It will, therefore, come as no surprise that on each occasion I have been to India, I have suffered from food poisoning. You’ve been to quite a number of places in the world. Can you give us a clearer idea of the range? I have travelled on business to Swaziland and many other destinations in South Africa. In pursuit of the Buddhist spiritual path, I have been to Germany, Spain and the UK to participate in retreats and festivals. I have an appetite for grassroots communication that has taken me to countries such as Brazil, Thailand, Croatia, Turkey and Lesotho. Meeting people from various cultures has been a great inspiration. According to Trip Advisor, I have been to 18 countries and 115 cities. I understand you like to disconnect completely when you’re on a trip? When I travel, I have minimal to nil contact with my home country. I purposely detach myself from everyday life for the time I am away so that I can dissolve into a dreamland of new discoveries and possibilities. Despite having gone North, South, East and West, you are currently living in your birthplace, Durban, a city of which I have fond memories. It’s so long since I was there! What is life like in your hometown these days? Durban (Zulu: eThekwini, from itheku, meaning “bay/lagoon’), for those who don’t know it as well as you do, is the largest city in the South African province of KwaZulu-Natal and the busiest port in South Africa and Africa. Though a major manufacturing hub, it’s also a major centre of tourism because of its subtropical climate and fabulous beaches. I don’t think it’s changed much since you left. We Durbanites have always been “laid back”. Our roads are nowhere near as busy as those in the capital, Johannesburg. The beach is still magnificent for surfers and sun lovers, but swimmers must take care. The surf is big and the sharks bite! It’s never cold as you will know, but often the humidity is high. Let’s see, what else can I tell you? Oh, I know. Durban is the home of the Sharks Rugby Union, who are usually title contenders (rugby being our national sport). It still sounds like a great place to be, but as I became an adopted Capetonian, I afraid I can’t support the Sharks. It’s the Stormers for me. Let’s get down to one of your passions that is fast becoming one of mine, too—photography. First, you have kindly agreed to share three photos that capture some of your favorite memories. Can you describe the story behind each one and what makes them so special for you? These three photos are from 2009 and 2010, before the photography bug really bit me hard. But they have each etched a place in my heart. The grim reality of poverty in Kolkata; photo credit: Andy Harvard. 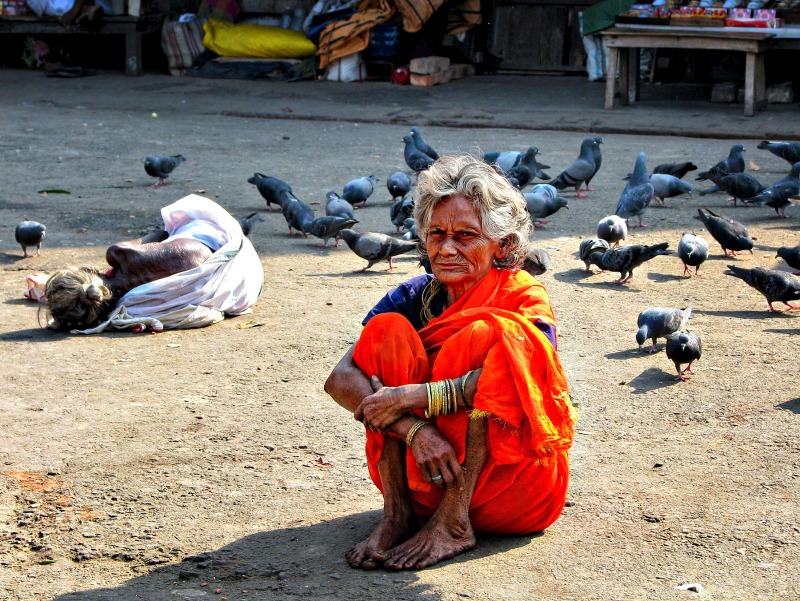 This photograph, taken in Kolkata (aka Calcutta), India, shows an elderly, thin, grey-haired lady in an orange sari. The lady in the white sari, lying curled up on the ground, I’d previously seen walking hunchbacked, slowly and in considerable pain, toward Mother Teresa’s home. I had a strong suspicion she was desperately trying to reach Mother Teresa’s Home for the destitute, sick and dying. I do not recall having ever having seen poverty of this magnitude when walking the main and side roads of South Africa, or anywhere else. The picture alone tells a tragic story but your explanation adds a lot more. Thank you. 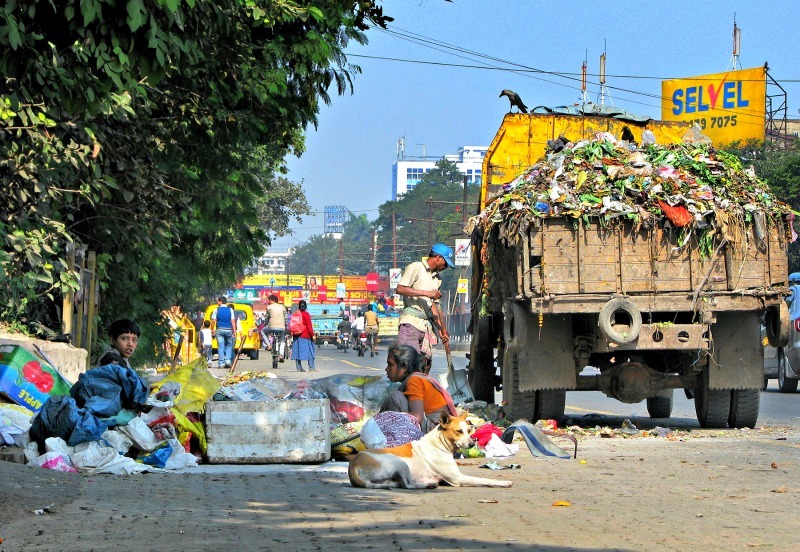 Another view of poverty in Kolkata, slightly more uplifting; photo credit: Andy Harvard. This photo, also taken in Kolkata, indicates how desperate the lives of some people still are. The driver shovels refuse onto the truck while the crows watch in anticipation of scraps as a lady and her son appear to do so as well. The lady was searching for food and maybe something of value whilst her son sat quietly guarding their personal belongings. The dog, relaxed, watched as drivers constantly hooted and maneuvered around one another. A lot of noise but minimal fuss, no road rage or the time-consuming jams we tend to associate with dense traffic. The Kolkata experience was very brief, but I felt a sense of spirituality here. Small shrines are erected on the sides of most roads—sometimes seen every fifty metres or so. Every person (other than the beggars at the temple), including the crows, dogs and cows appeared to be busy, desperately doing something meaningful in their quest for survival. Knowing the story behind this photo helps us to appreciate how well you have captured a small corner of peace and quiet surrounded by a cacophony of noise. Spain beat Germany in Durban on 7 July 2010. They reached a World Cup final for the first time and went on to beat Holland in Johannesburg. The only goal in Durban came from a header by Carles Puyol. 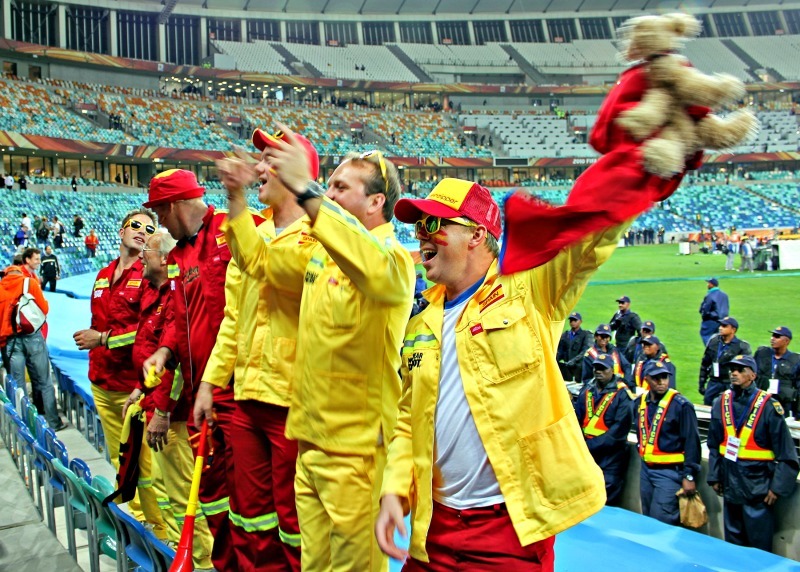 This was the first time I had witnessed extreme soccer fever, and this photo won a competition in one of Durban’s newspapers. In this photo you have captured the spirit of the occasion, which is now upon us again in Brazil. Congratulations on your award. Next we’re going to talk about some of your current favorite places to take photographs. Can you explain why these three places inspire you and how it shows in the photos you’ve selected? 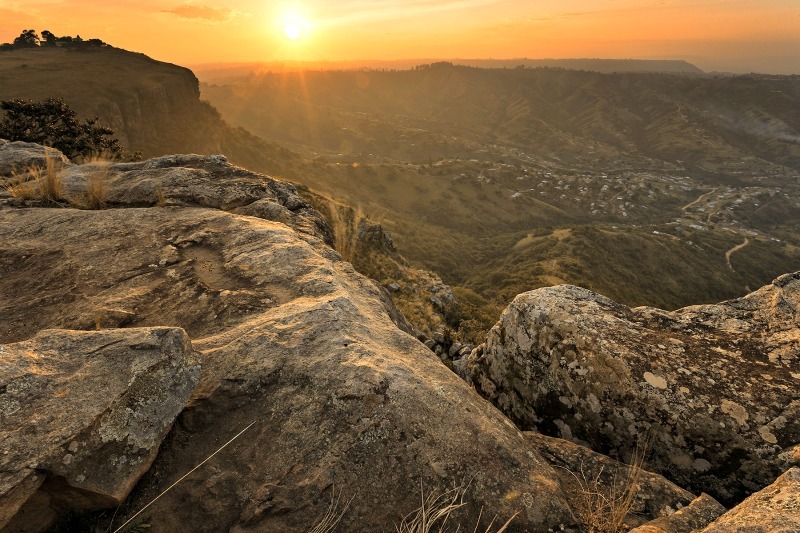 Monteseel, in the Valley of 1000 Hills, South Africa; photo credit: Andy Harvard. 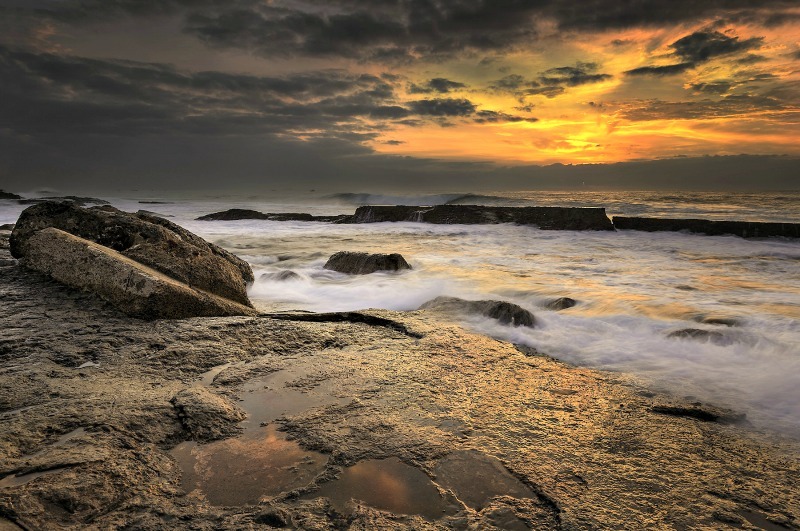 Northern Bluff coastline, Durban, South Africa; photo credit: Andy Harvard. 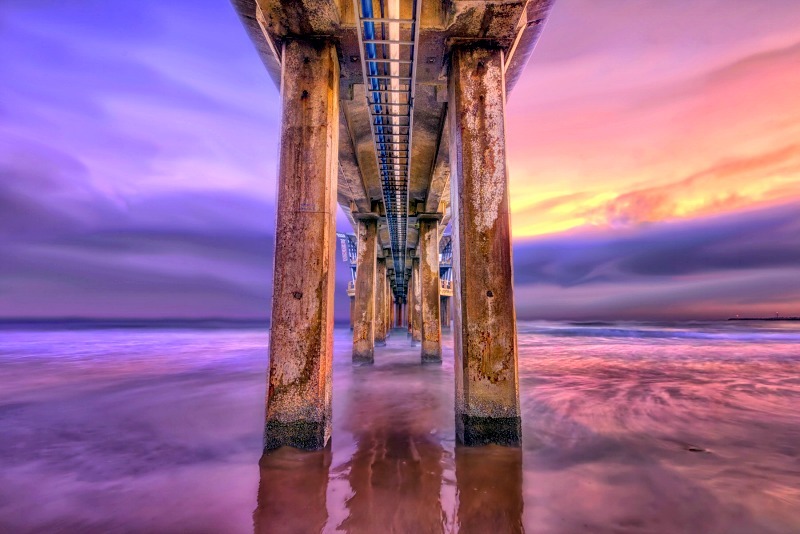 Moyo uShaka Pier, Durban, South Africa; photo credit: Andy Harvard. Brilliant, love the symmetric composition with a warm and cold side, slightly reminiscent of Turner’s sky in The Fighting Temeraire. I know that Monteseel is an awesome place, so powerful it’s almost overpowering. It’s a great capture. Your photo of CBD is so dramatic that, although I know how warm the sea is, it looks positively cold. Why have you never shown me this before? It’s awesome. So you had to work a bit to get the last one! Well done. Would you say that photography and the ability to be able to capture something unique, which will never be seen again, is a powerful force for you? Yes, but more importantly, photography is the way I choose to meditate. I go into a semi-transcendental state when shooting and later when processing the photos on the computer. I believe the habit dates from my mother’s death in early 2013. When we visited her in hospital, we would all sit on the veranda outside the ward while I took night-time photos. Later, when going through some boxes of photos she had taken in her youth, I learned that she had been a photographer of “social” note. Not long after, I got hooked on HDR photography. I was a member of a Buddhist tradition for two years, attending teachings and meditation classes about 6–7 hours a week. Now my “meditation” is taking photos while a new day dawns in near complete silence and then sitting for hours post-processing photos to create a work of art. It isn’t a job—it’s a passion; and I want to keep it that way and share the results with others. Thank you, Andy, for sharing such a fascinating personal story. Now for the technical stuff. What kind of camera and lenses do you use? I have a Canon 6D, 17/40mm and 24/105mm. I also have my “old” baby Canon 550D which uses either lens above when not in use by “big brother”. And which software do you use for post-processing? Which software do I not use? I will use any software available to manipulate my photos to achieve the look I want to see. I know no bounds in this regard. I started with Photomatix HDR software and would attempt to “HDR” everything I could at any time of the day—i.e., dogs, people, machinery and trees. Later I learnt that this was a little foolish but, as I realized when reading this article on the topic, a necessary part of my progression. Lately, I’ve been shooting fewer exposures and manually blending them in Photoshop with layers and masks. I am new at this and on another learning curve. Sounds like you are a post-processing junkie. I can identify with that and hope to move up to your level when I understand a lot more about the various programs. Finally, do you have any advice for wannabe photographers who are traveling or living abroad? Be confident and take charge. Keep the camera in hand or on a sling (not deep in a bag). Take lots of photos and even different angles on the same scene. Go into a tunnel zone where you are only thinking about and taking photos. Get down on the street and get dirty. Find top photographers who you admire and follow them. Study their work and every word on their pages (great tips sometimes come hidden in a few sentences). Look at the best photo you find and think “I can do this and better, it might just take some time”. Some really kind photographers offer free tutorials in video or written format—make the time to find them and work through them. Thank you, Andy. I have really enjoyed our interview. Your story is so compelling and you do approach things from a different angle to many of us. Readers, what do you make of Andy’s experiences and his photography advice? And do you have any questions for him on his photos and/or experiences? Please leave them in the comments! And if you want to know more about Andy, don’t forget to visit his blog, Snap Fly Cook. You can also connect with him on Facebook and visit his gallery of “special” photos on Pixels.com. The Brazilian player Edmilson Santos, by AK Bijuraj; CocaCola FIFA World Cup Soccer, by Mike Mozart; FIFA World Cup trophy, by Warrenski (all CC). 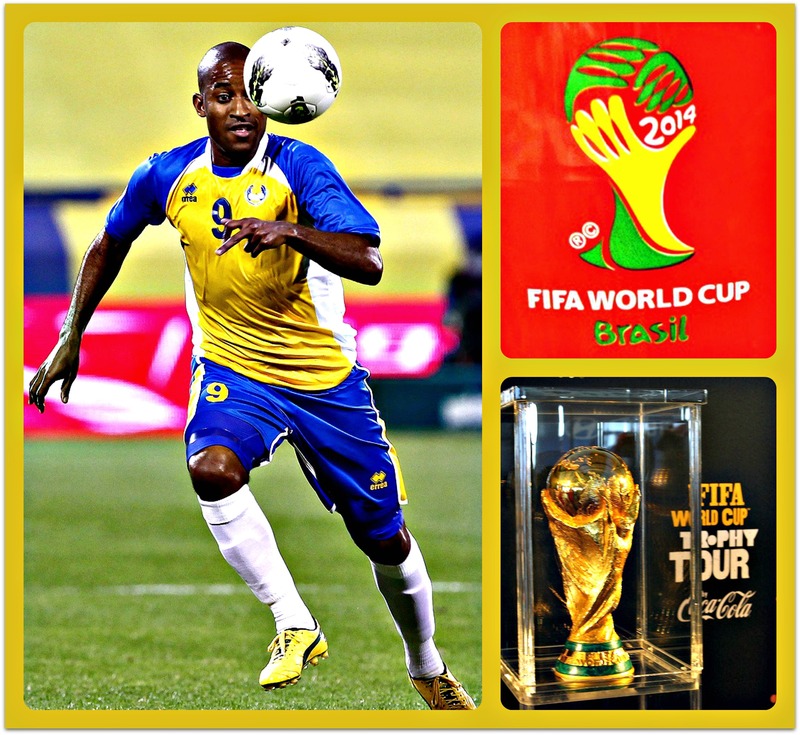 To mark the start of the 2014 World Cup in Brazil, I have updated a post I wrote four years ago, in time for 2010 World Cup, in South Africa. I wrote it for the now-defunct Pond Parleys, the brainchild of esteemed writers Toni Hargis (a British expat in the US, with an American husband) and Mike Harling (an American expat in the UK, with an English wife). In America, of course, we call it soccer. But I am content to say “football.” If there’s one thing I learned from living in England for nearly ten years, it’s to use the English language with precision (in which case, shouldn’t it be “foot-and-head ball”?). So, herewith, an attempt to tell the rather twisted tale of my conversion to football fandom, though part of me will always wonder: is my story more typical than one imagines? Surely, a taste for football isn’t easily acquired by those who don’t have it in their national DNA? This little tale of mine begins on a dark and stormy night in the latter years of the 20th century. I am living in football-mad England but am rapidly developing an aversion to the sport, squandering my first real opportunity to see it played at a professional level. 1) The game itself—the endless running up and down the pitch with hardly any scoring. The few times I watched a football match, I inevitably got up to make a cup of tea, or dozed off, just as the one goal of the match was being made. 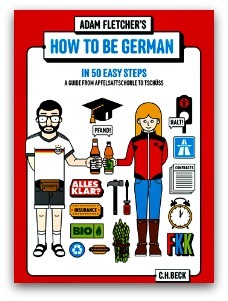 3) The jingoistic tabloid coverage—which reaches its height whenever England plays Germany. I happened to be living in London in 2006, when the semifinals of the European finals, between England and Germany, took place at Wembley Stadium. What a palaver! The British mass-circulation paper The Daily Mirror ran a front-page headline “Achtung! Surrender!” over a photo of two England stars wearing World War II helmets. Years later, when England met Germany in the 2010 World Cup, held in South Africa, John F. Burns contributed an article to the New York Times contending that such “rib-poking” has provided catharsis for England and Germany over the years. Who am I to contradict Burns, the Times‘s London bureau chief and an expert on interpreting his native culture? Still, I couldn’t help but think of the late American historian Howard Zinn‘s warning that harmless pride can become an “arrogant nationalism dangerous to others and to ourselves.” Red card! It’s perhaps worth noting that of all the reasons I came up with not to like football, none of them included the argument that occasionally surfaces in right-wing circles in the United States, which is that football is collectivist and carries the threat of “socializing” Americans’ taste in sports. As an expat, I had a choice: keep skating along the surface and pretend football doesn’t exist, or else try and go closer to the beating heart of my adopted culture and see what makes it tick. Am I looking forward to this year’s World Cup championship games in Brazil? Why soitenly! Numbskull that I am, I’ve finally gotten with the program!! Herewith, the second part of my most peculiar tale. As explained in Part I, I never paid much attention to the sport despite nearly a decade of exposure; on the contrary, I developed an abhorrence for it. I can’t pinpoint the precise moment when my conversion happened, especially as football still has all the same drawbacks I’d once noted: goals are few and far between, the fans are predominantly male, and jingoism reigns, particularly between the English and the Germans. All I know is that it wasn’t until I was back in my own culture that I felt comfortable giving the sport a chance. Yes, I know this is ironic considering that the UK is considered to be the cradle of the game (the English have been kicking balls competitively since at least 1314), whereas we Yanks still aren’t quite there. It’s time to hear from you, dear reader. Is my conversion complete, or should I be bending the case for football still more, by stressing its potential for opening up intergalactic communication and fostering truly universal harmony? And even if you don’t share this new-found enthusiasm of mine, can you at least relate to the experience of getting to know and love a sport outside the ones you grew up playing and watching? Do tell!